Details: Join us for our first official event in our Biergarten at Aroma Thyme. That’s right we are doing this event outside in our garden at Aroma Thyme. Enjoy all you can eat mussels prepared 3 different ways. 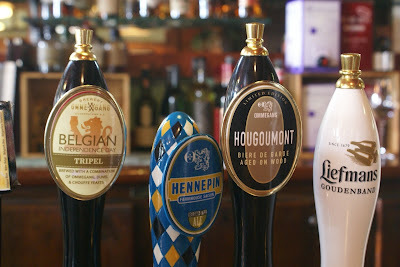 Plus a line up of Ommegang, Duvel, Chouffe & Liefmans Belgium beers. The event starts at 3 pm rain or shine, we have a tent. Mussels will be served in the garden from 4 to 6. We will have a rep from Ommegang/Duvel with lots of cool give aways.